Sam could hardly sleep the night before this year’s school spelling bee. He finished in third place last year, but in his mind that just wasn’t good enough. He vowed he wouldn’t let a silly mistake knock him out again. 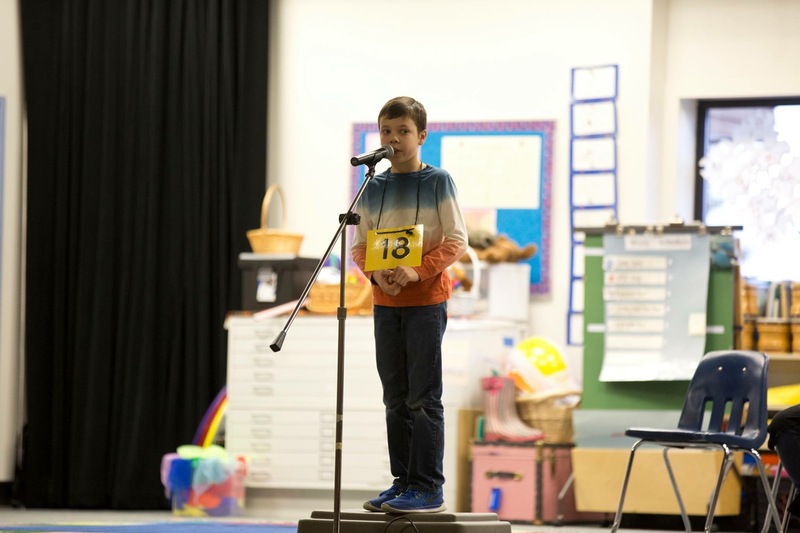 The competition was fierce, but eventually there were only two spellers left: Sam, and a 6th grade girl from another class. The two of them volleyed words back and forth for nearly 15 minutes, with the entire school watching. I lost track of all the words he successfully spelled, but they included: glass, glance, hammock, migraine, gargantuan, huddle, bracketed, hexagon, agricultural, plethora, gorse, portico, and agora. In the end, he earned a 2nd place trophy. We beamed with pride, but this was a failure in his competitive mind. He blinked back tears as he shook the champion’s hand. My heart broke a little for him, because I knew how badly he wanted the win. But I also know these disappointments bring great lessons, and we keep stressing the value of simply putting himself out there. I draped my arm around his shoulder and walked him to his classroom, confident that he’d bounce back quickly. He may be competitive, but he’s also resilient. 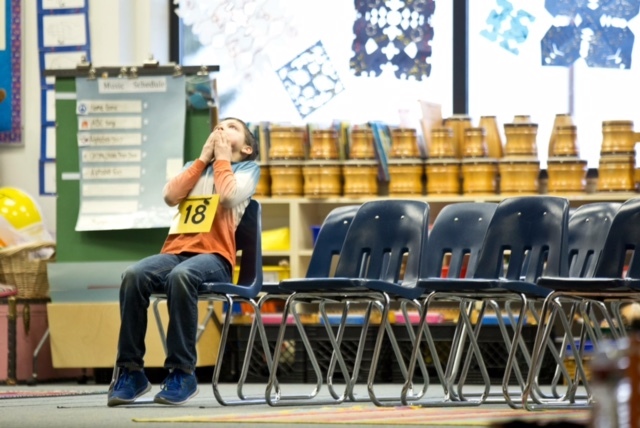 His teacher snapped some photos for us, which really captured his roller coaster emotions during the bee! And… as predicted… by the end of the day he was smiling with his bobble head bee trophy. He’d also debriefed with the school champion at lunch, where they congratulated each other again. We are very proud of his sportsmanship and his spelling!